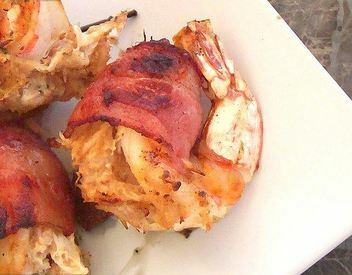 Today is National Crabmeat Day, so celebrate with these delicious Bacon Wrapped, Crab Stuffed Jumbo Shrimp!! Stuff shrimp with crab mixture, wrap with bacon and secure with a toothpick. We par cooked our bacon in the micro for 1 min…. Grill or broil until bacon is cooked.